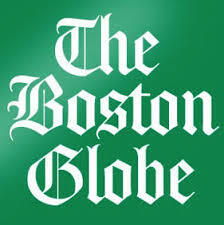 How many digital subscriptions has The Boston Globe sold? According to Globe spokeswoman Ellen Clegg, there were 45,971 “digital-only subscribers” in September — an increase of nearly 80 percent over the 25,557 who had signed up a year earlier. That sounds impressive. But it’s a pittance compared to the numbers compiled by the Alliance for Audited Media (AAM), which recently released a report claiming the Globe had an average of 86,566 digital readers for its Monday-through-Friday editions for the six-month period ending Sept. 30. The difference is in how you count digital subscriptions. I’ve written about this before, but the AAM’s methodology is becoming increasingly controversial, as some readers are being double- or even triple-counted. Here’s how it works. As Clegg says, the number reported by the Globe represents only customers who have signed up for paid online access through the BostonGlobe.com website, the iPhone app, the ePaper replica edition or an edition for e-readers like the Kindle. If anything, that methodology undercounts digital readership. For instance, we pay for home delivery of the Sunday paper, which entitles us to digital access at no extra charge — and that’s how we read the Globe Monday through Saturday. Yet according to Clegg, because we have not specifically purchased a digital edition we are counted as Sunday-only print subscribers. AAM wrote a blog post in May explaining that a paying print subscriber at a paywalled newspaper can actually count as two “subscriptions” if publishers provide proof that the subscriber activated their username and password for digital. And there’s no reason to stop at two: “each digital platform,” like an iPhone app, can count as its own sub too. The good news for the Globe is that paid circulation more or less held its own during past year even if you use the paper’s own understated figures. From September 2012 to September 2013, print circulation of the Monday-through-Friday edition fell from 180,919 to 166,807, according to the AAM. On Sundays it fell from 323,345 to 297,493. But when you factor in digital-only subscriptions, the Globe had a paid Monday-through-Friday circulation of 212,778 this September, up from 206,476 a year ago — an increase of 3 percent. On Sundays, total paid circulation declined from 348,902 to 343,464, or about 1.5 percent. The picture looks considerably brighter if you use the AAM’s figures. By those measures, Monday-through-Friday paid circulation at the Globe rose from 230,351 to 253,373, an increase of about 10 percent. Sunday circulation rose from 372,541 to 384,931, or 3.3 percent. What is the most accurate measure? The AAM figures may be exaggerated, but it’s also clear that the Globe’s measurements undercount paid subscribers — especially Sunday-only print customers who read the paper online during the rest of the week. My best estimate is that paid circulation at the Globe is stable or growing slightly. And though digital advertising is not nearly as lucrative as its print counterpart, the far lower costs of digital publishing should help John Henry and company offset the loss in ad revenue. Certainly Boston Herald publisher Pat Purcell must be looking closely at the Globe’s strategy. According to the AAM, paid circulation of the Monday-through-Friday Herald dropped by 9 percent, to 88,052, over the past year. The Sunday edition fell by 7.5 percent, to 71,918. Two quick thoughts; I think that too often the words “subcribers” and “readers” are used interchangably. Whatever methodology is used, as long as the same formula is used for each time frame, it “should” give a somewhat accurate measure of increase or decline. I think for the sake of this discussion, is the Globes Paid online content model working, a more realistic way to figure that out is to see the increase or decrease in total circulation dollars. The surveys you cite are really a way for publishers to justify what they charge for advertising. If the increase in digital is because people opted to only subscribe to home delivery on Sunday and dropped the weekday subscription you aren’t increasing revenue and trading a more valuable print reader in terms of ad dollars for a less valuable one. But now that John Henry has taken the company private, you probably won’t see those numbers going forward. Plus you state that the Globe held it’s own while the Herald was down 9% and 7.5%. If you do the math, it’s basically the same decrease in the Globe numbers that you mention for the Herald, but call one holding it’s own and the other one that Pat Purcell must be watching closely??? And the Globe figure includes digital subscribers???? @Peter: Huh? Both the Globe and the Herald were down substantially in print subscriptions. The Globe has a paid digital strategy that offset the decline (even using the Globe’s own figures, which underreport digital) and the Herald doesn’t. Which is why I wrote that Purcell must be watching the Globe closely.